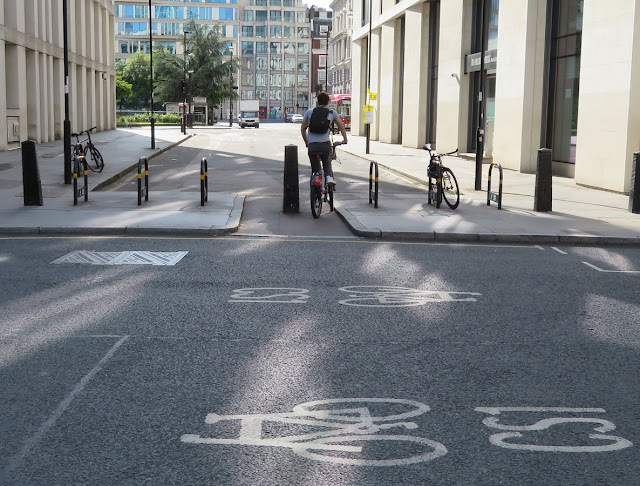 In the spring of 2015 Transport for London began consultation on Cycle Superhighway 1 and then announced their decision to build it in June 2015. Three years on from announcing their intention to proceed with the proposals I have looked again at the route to see what has been completed, what hasn't, and what changes we can expect in the future. 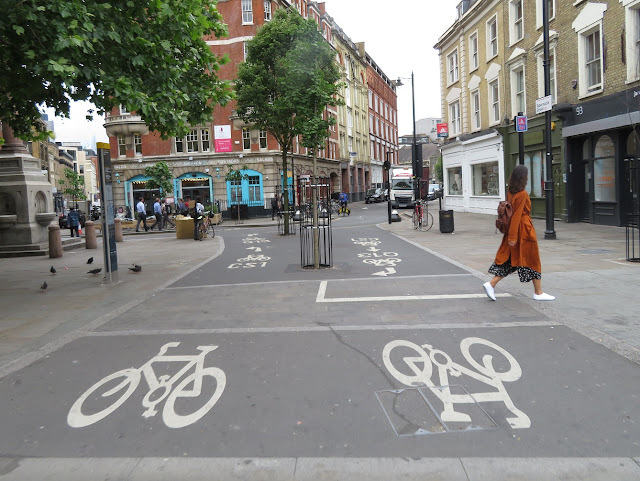 Starting at the southern end of CS1 and although not part of the original consultation, it was stated within the consultation report that "We will remove the bollard from the junction between Wilson Street and Christopher street, improving access for cyclists". 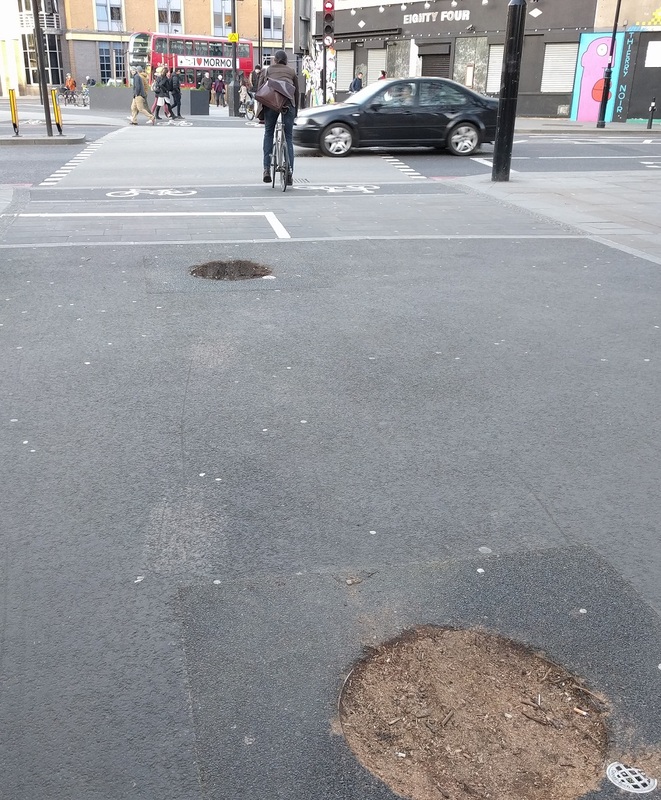 Nearly three years on and that bollard remains in place, even though it seems like an easy and inexpensive adjustment to make. Despite confirmation in the consultation report that this would go ahead this section was not built. The gate is still in place, the road has been resurfaced and the parking bays have been repainted. CS1 north of Leonard Circus will soon become an "ultra low emission street" and motor vehicles that are not classed as ultra low emission will not be permitted to use this section of Paul Street from 07.00-10.00 and from 16.00-19.00 on weekdays (with an exemption for local residents or businesses with a permit). It is an interesting experiment and, assuming it actually goes ahead, I hope it does reduce motor traffic levels here. Just a shame the restrictions are not in place at all times. Hackney Council have recently declared that "following a review and taking into account feedback from residents, a number of actions are being planned to reduce traffic and improve the CS1 route in Hackney". They recognise that the first section of CS1 along Paul and Wilson Street "is still difficult for cyclists due to parking and loading arrangements. 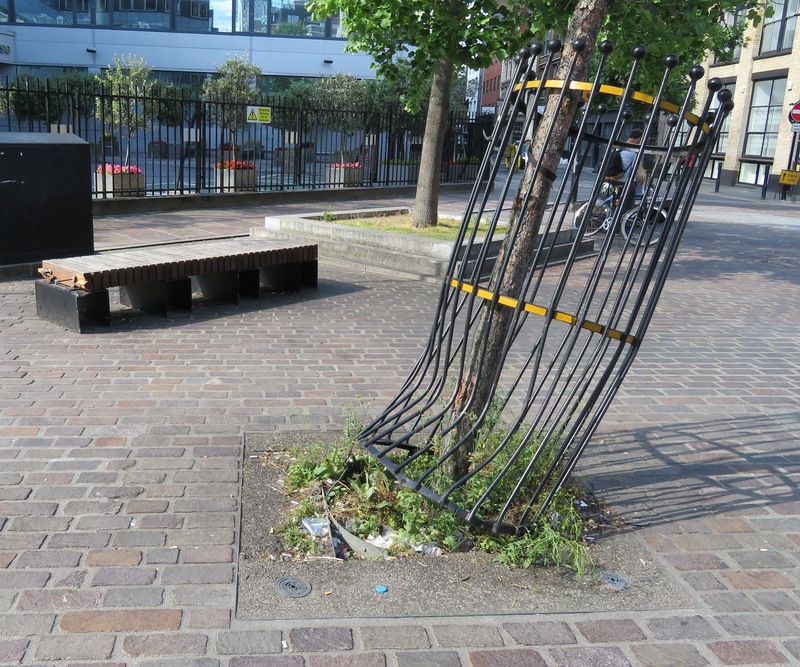 These are being reviewed with Islington Council and will be rationalised where possible." 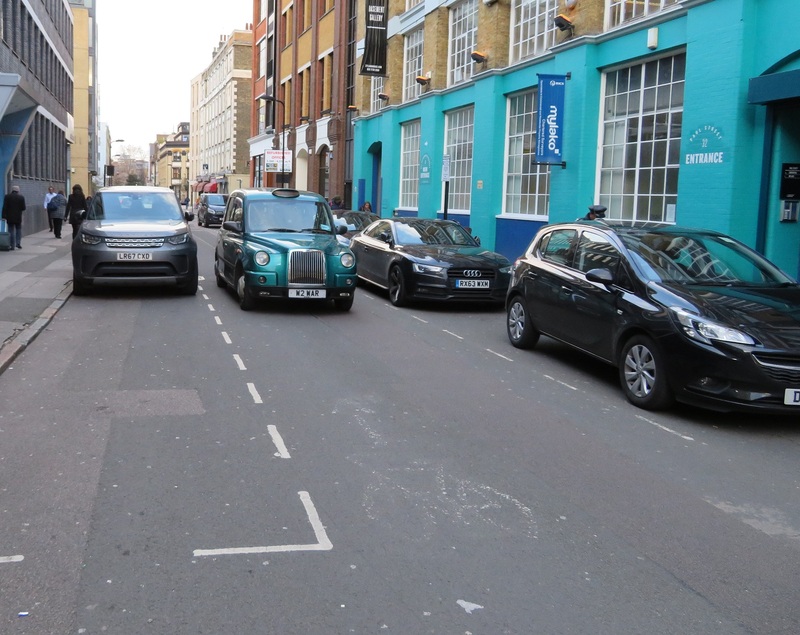 Considering that the new parking restrictions still haven't been implemented three years on from promising to do so, coupled with the fact that every time I cycle this way there is illegal parking on double yellows or on the footway, I have little confidence of this happening. 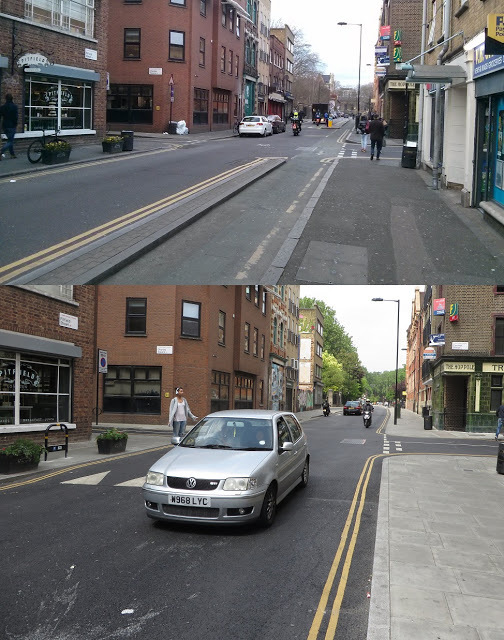 Perhaps the best solution would be to strip parking away from one side of the carriageway to install a bidirectional cycle track from Old Street to the end of CS1 in its place. 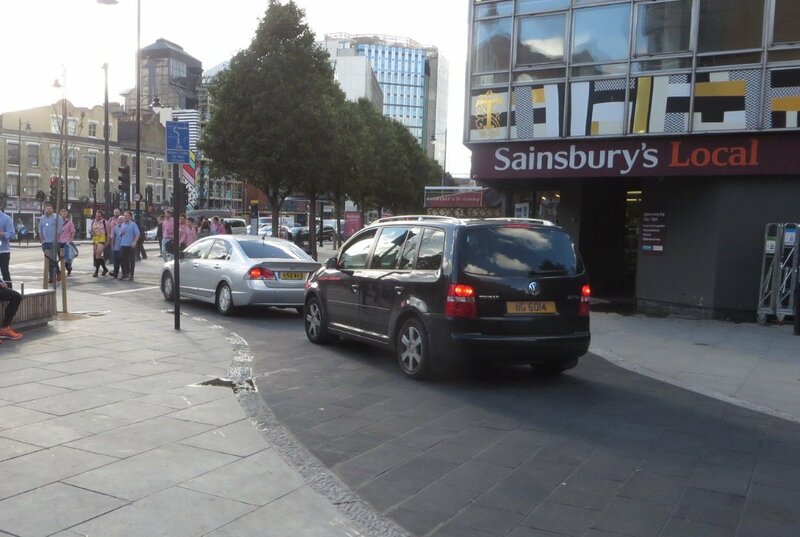 There would still be parking available all along one side of the road, along with a safer and quicker route for those on bikes. With a new tree planted directly in the centre of the cycle track, leaving just two trees in the track but at least with both of them are now located directly in the middle. There appears to be no plans for any improvements to Pitfield Street from New North Road up to Britannia Junction, despite this being one of the worst sections of CS1 within Hackney, a very busy road with an awful lot of motor traffic and certainly not the place for anyone "of any age" to be on a bike. The school run, weather on foot or bike, is almost exclusively carried out on the pavement here. It is also absurd that such a high number of lorries regularly use this section of Pitfield Street, especially coming from Mintern Street, which is a short 'quietway' route linking Shoreditch Park with CS1, yet is not even filtered! 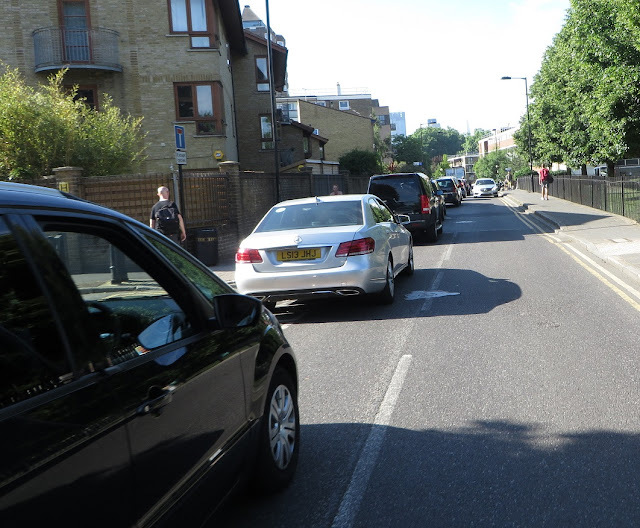 Again, there appears to be no changes planned for Whitmore Road or De Beauvoir Road from here up to downham Road, which is just unacceptable as motor traffic levels are far too high. 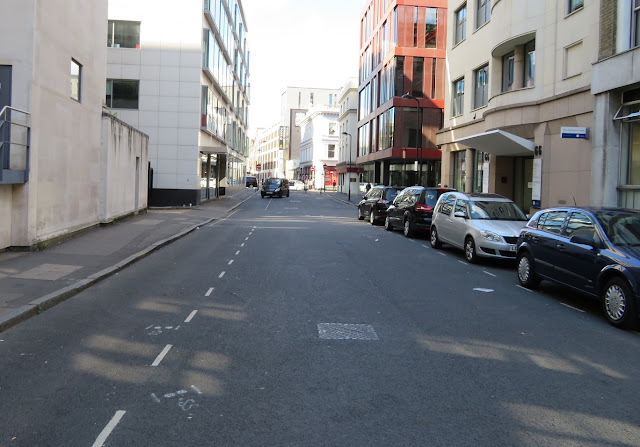 I just don't understand why side roads leading off from CS1, such as Orsman Road or De Beauvoir Crescent remain open to motor traffic, let along why Pitfield Street itself is not filtered to stop through traffic from outside the area using it. Most of these closures went into place in 2016, including one which had originally been proposed over 40 years earlier! The exception was De Beauvoir Road which, in response to the consultation, was kept open southbound but closed to traffic northbound. 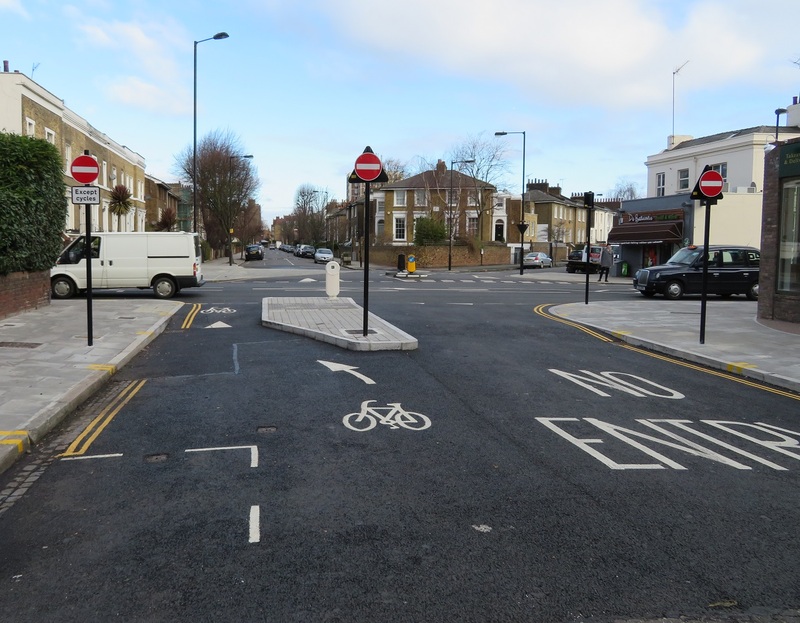 This has still resulted in it being much quieter than it was and also allows crossing De Beauvoir Road on a bike via Q2 much easier. The signage leading up to the closure isn't clear enough it seems, if the amount of reversing lorries is anything to go by. Originally the closure was simply some road signs, which were routinely ignored, but the recently changed layout does seem to be working well. 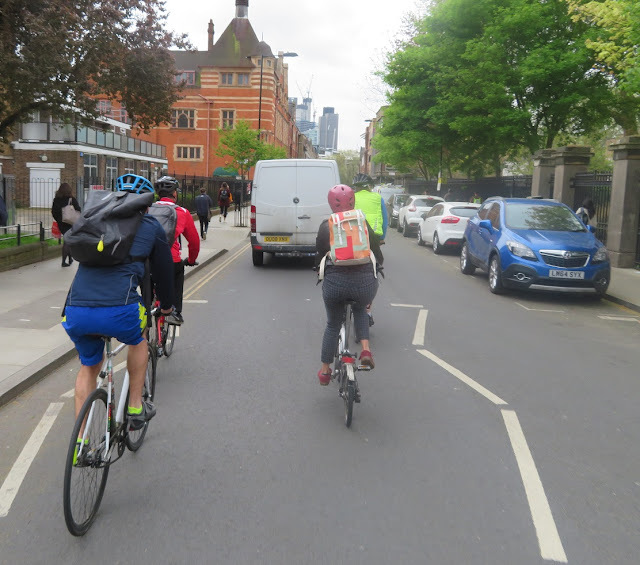 Getting from the longstanding filtered southern half of De Beauvoir Town to the northern half involves crossing Englefield Road, which can be a challenge at times, especially if you are cycling with young children. The council state that "a parallel pedestrian / cycle crossing is to be installed", which is great news, but I do hope it does not involve any pavement cycling. 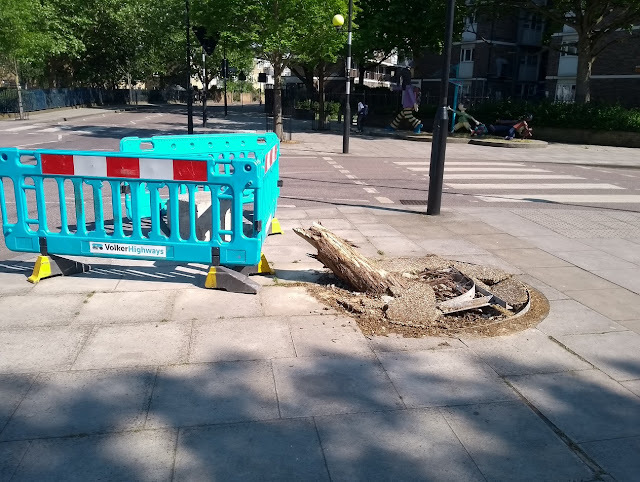 The new closures are working very well and have dramatically changed the area, creating a much quieter neighbourhood whilst improving the safety of those who choose to walk or cycle through here. 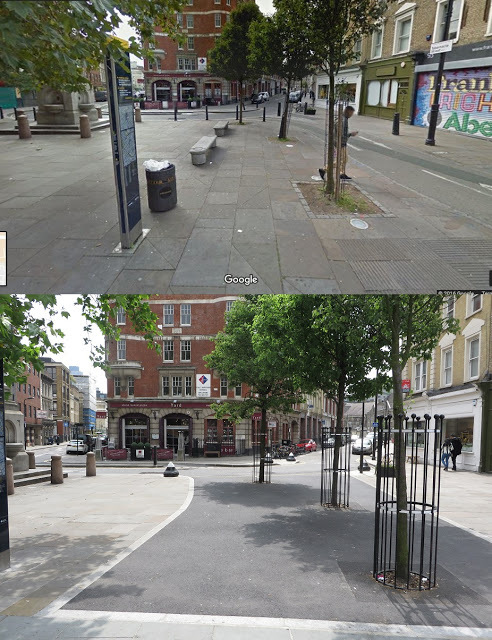 I just hope that at the end of the 18 month trial the closures remain and the plastic bollards are replaced with something a bit more permanent. 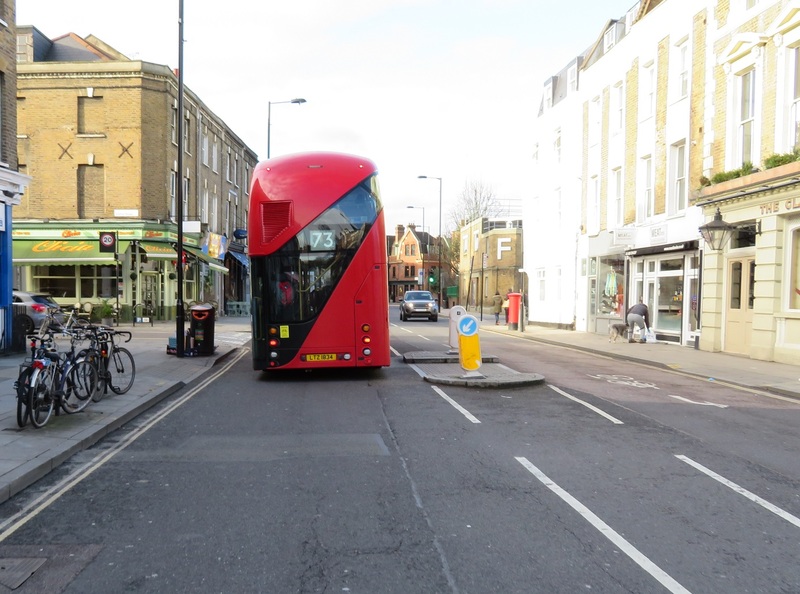 Unfortunately the closures at the junction of Kingsland Road with Stamford Road and Tottenham Road have still not been implemented, despite the consultation closing three years ago and the consultation page stating that they plan to start work in spring 2018. Three years on and work has still not begun on this section of the scheme, with seemingly no date that the works are even likely to start. Hackney Council claim that "this section is jointly maintained by Hackney and Islington and is also on the Strategic Road Network. 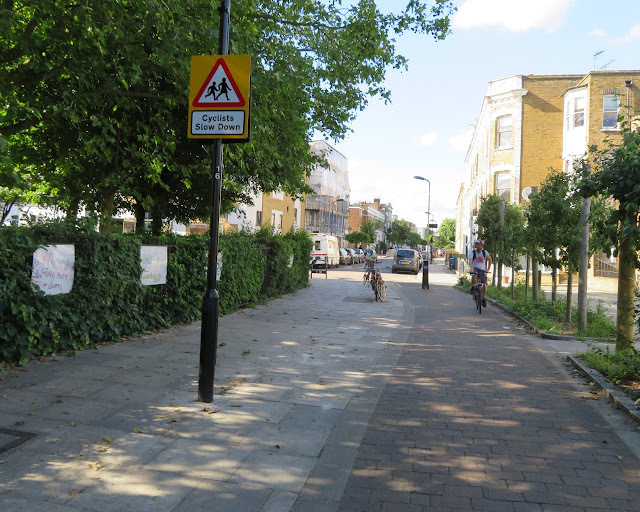 Discussions are still ongoing but the aspiration remains for a protected cycle lane on Balls Pond Road between its junctions with Culford Road and Kingsbury Road"
North of here there are no plans to improve Boleyn Road, however since the 2015 consultation three new filters have been installed along Wordsworth Road, resulting in another residential area where all streets can be accessed by car but the streets are free from rat running motor traffic from outside the area, leading to quieter and safer roads for residents. Hackney Council also recognise this problem and ran a consultation this winter on more proposed traffic filters in this area. Option A would eliminate East / West rat running entirely but would do nothing to solve the issues on Nevill Road and drivers would continue to use it to avoid the Stoke Newington Gyratory. Option B would see a filter on Nevill Road but would still see a West to East route open via Barbauld Road and Dynevor Road. Neither are perfect but option B would clearly be the best outcome for CS1 and those who live on Nevill Road who have to live with all the traffic. 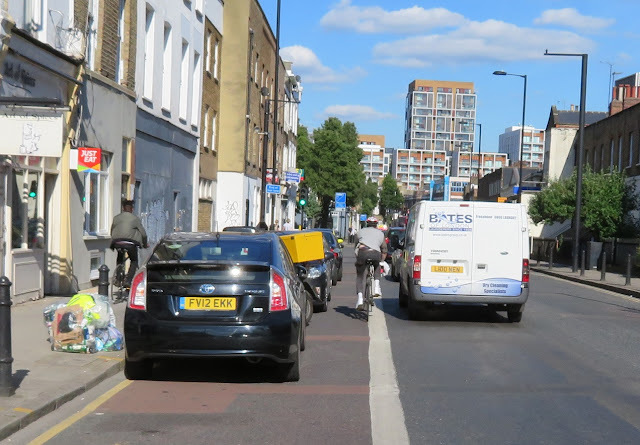 Towards the end of CS1 in Hackney it follows West Bank, a one-way road (for cars) with houses along one side and a railway track on the other but with car parking along both sides of the road, leaving virtually no room for contraflow cyclists. Another consultation from the council proposes to strip car parking from the railway line side of the road for a bidirectional cycle track. 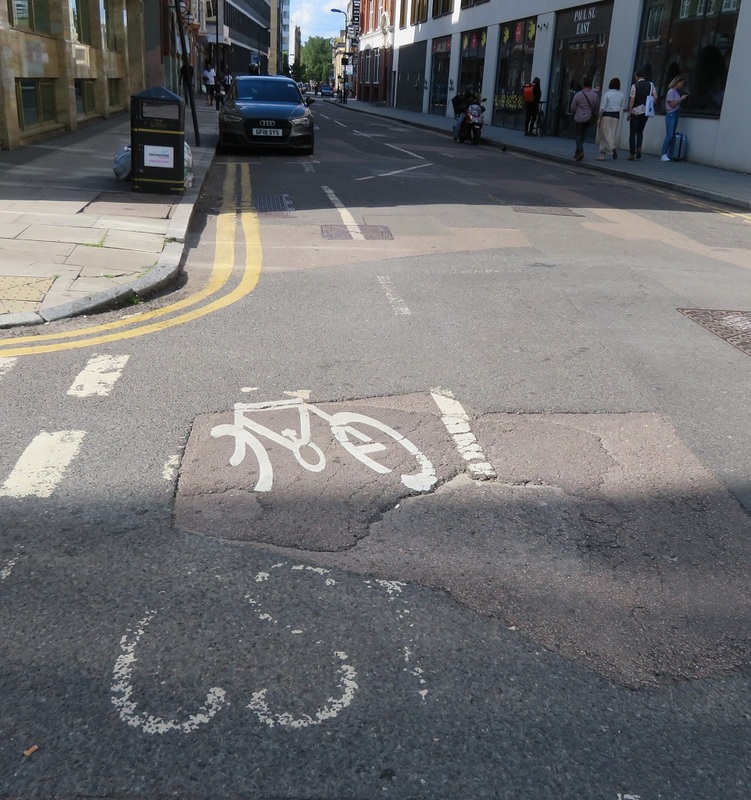 It is a decent proposal as the car parking would not be missed however the local conservative councillor for this area, councillor Steinberger, submitted a 3,300-name petition against CS1 back in 2015, even though all that was proposed was "CS1" to be marked by paint on some residential roads. 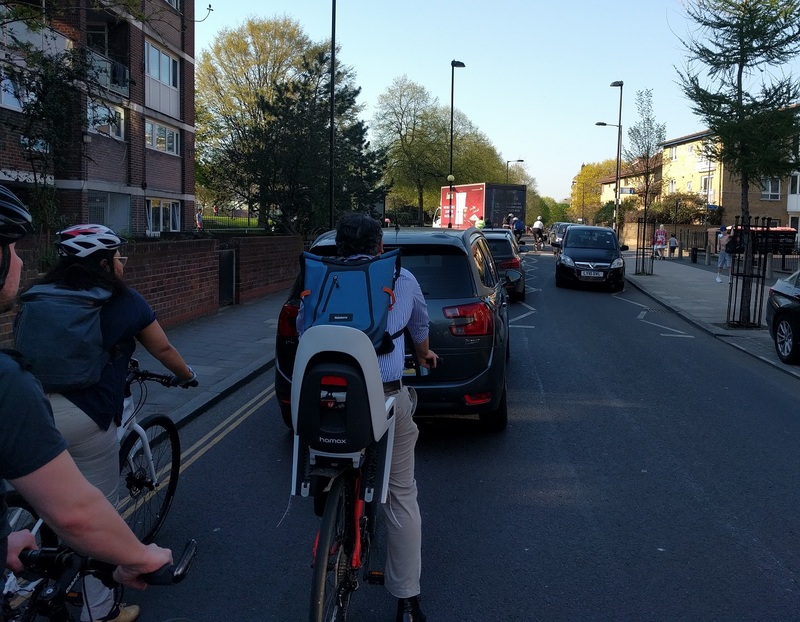 Some of his objections included increased cycling posing a danger to children and that any increase in cycling would result in increased traffic congestion. I await the consultation report with interest. Hackney Council should be applauded for recognising that Cycle Superhighway 1 has some serious issues and is largely not a pleasant place to cycle and I'm very glad they seem to be proposing some good solutions to some of the issues. However, it would obviously be welcome if they could actually finish all the adjustments to this route that were promised three years ago but have still not been delivered.